Bernardo Cioni Diaz was appointed Group Strategic Planning Manager with effect from November 1, 2017. 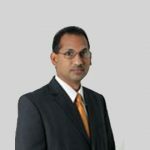 He has over 12 years of experience in the cement industry, having worked in several key cross postings at CEMEX. 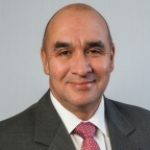 The most recent posting, before taking up his appointment at the TCL Group, was that of Business Development Manager for Arizona, California and Pacific Northwest for CEMEX USA Inc.
Mr. Cioni joined CEMEX in 2006 in the area of strategic planning at the company’s operations in the Caribbean. His vast experience also incorporates assignments in Europe, the Middle East, Africa and USA. He holds a B.Sc. in Accounting with an Executive Master’s Degree in Finance from the IEB School of Finance and an Executive MBA from the London Business School.